Oval, black twill with silver metallic thread. Jacket patch is approximately 10x6" . Wear your jacket patch with CLUB Pride! 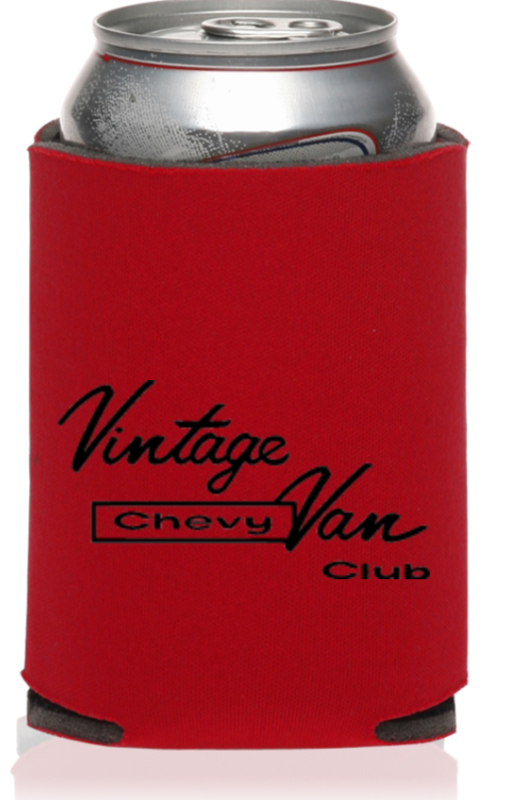 Show off your Koozie! 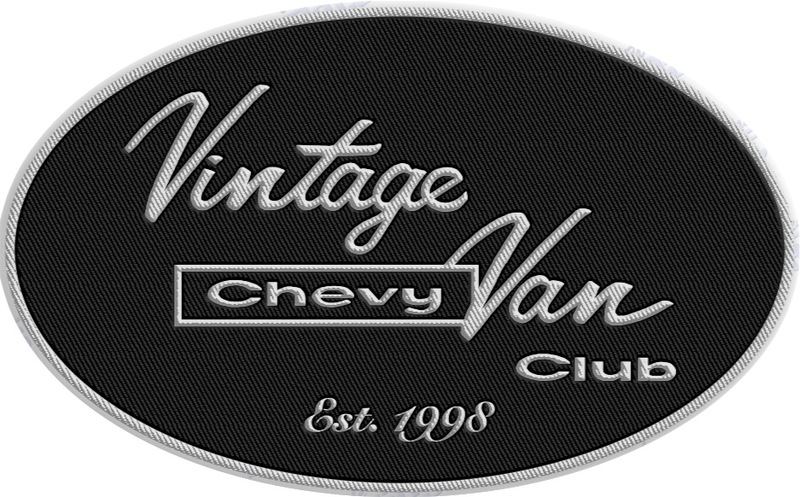 All proceeds are fundraisers for the CofC 2018 hosted by the Vintage Chevy Van Council in New Orleans, February 22-25, 2018.